This will be a two part review. 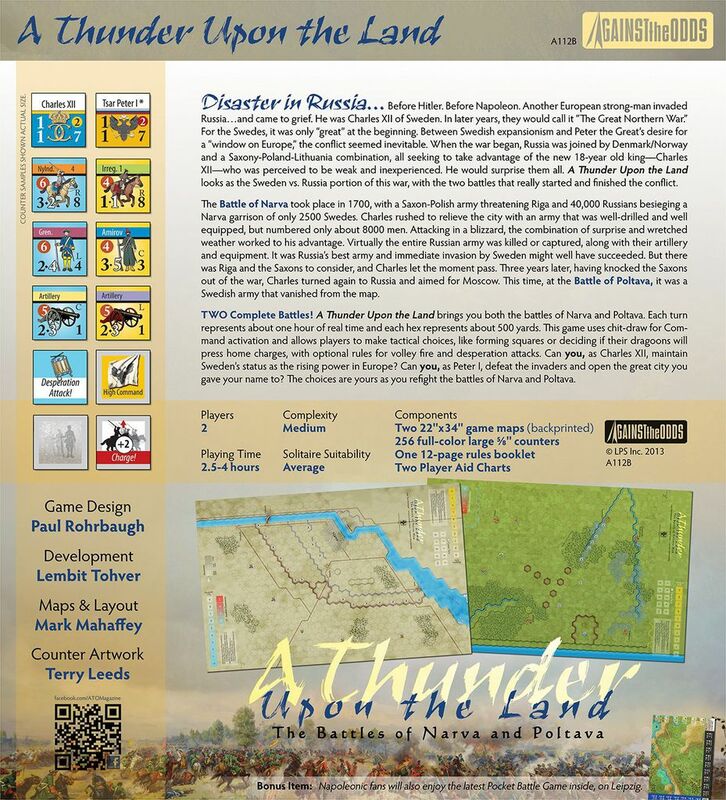 the first part will be about the magazine itself, and the second part will be about the game 'A Thunder Upon The Land'. I love food, a picture would prove it. However, if given a choice between reading and eating, food for the mind or soul wins every time. Wargaming magazines have been around for about fifty years or so. They have usually been filled with pretty pictures, but we really do read them for the articles. To think of Jim Dunnigan wandering about in his pajamas and a pipe in his mouth is a bit disconcerting. He is, however, our Hefner (I know S&T started earlier, but it really took off under him). This is my first Against The Odds magazine. I have to save I am mightily impressed. Physically, the magazine is impressive. The maps are especially well done and extremely informative. I have been reading about Charles XII of Sweden for fifty years, so I was very surprised to find new information about him in the background article. I learned that unfortunately Charles XII was an object of hero worship by the Third Reich. The other articles are just as well done as the article about the game history. 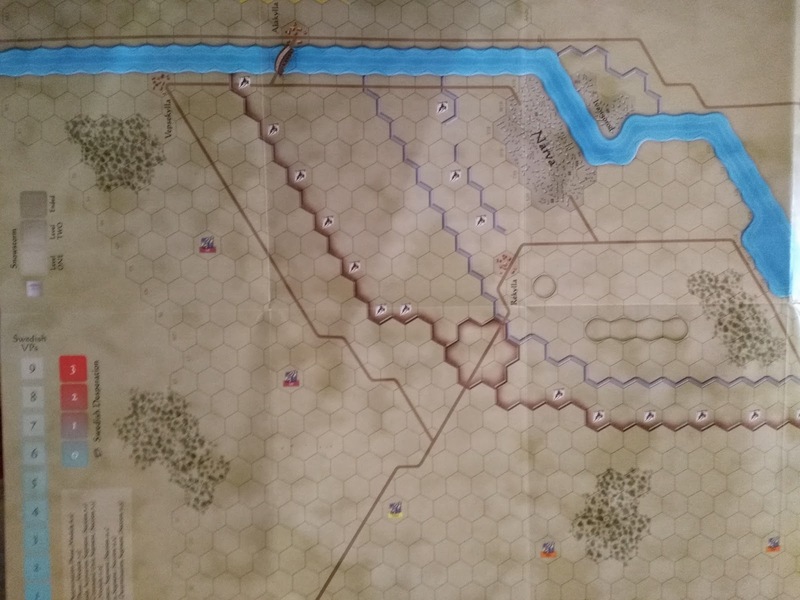 This will not be my last copy of ATO by a long shot, and I can recommend it to any wargamer. Magazine wargames have always gotten a bad rap for some reason. I have never understood why. Some of my favorite games, and gaming moments, have come from them. The rules of this game are sixteen pages long. Physically, they are of the same high quality as the rest of the magazine. 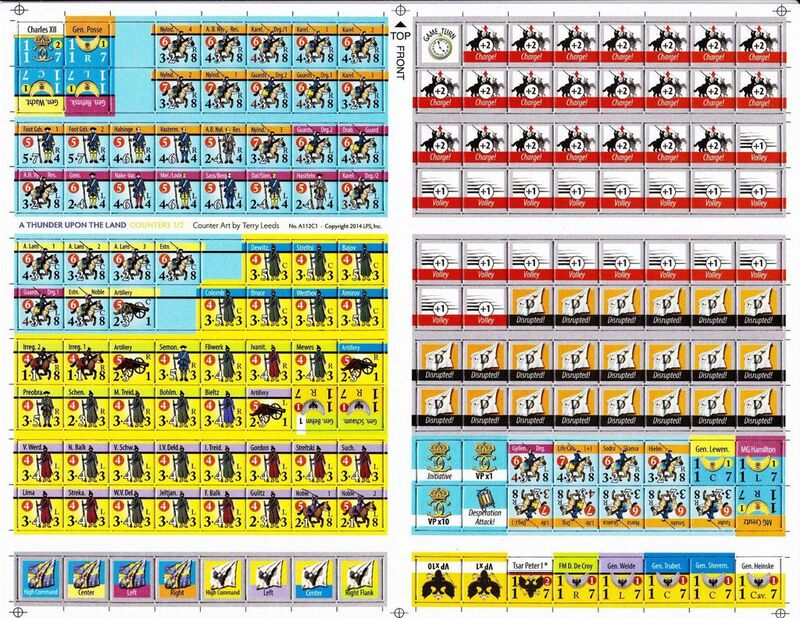 One excellent part of the rules is that you can take out the two middle pages of the magazine and have a players aid sheet for both players. There are actually two separate tactical games included. One is the Battle of Narva in 1700, and the other is Poltava in 1709. The map is two sided and is large at 22" x 34". I can say it is one of the best magazine maps I have ever seen. The colors and drawings are extremely well done. The counter colors are vibrant, and they are easy to read. The counter attachment to the cardboard sprues and the left over cardboard on the counters is the only thing about the game that is middle of the road. Narva is either looked at as a master stroke, or the luck of a madman. Poltava is described as a bad piece of luck, or the comeuppance that Charles XII deserved. 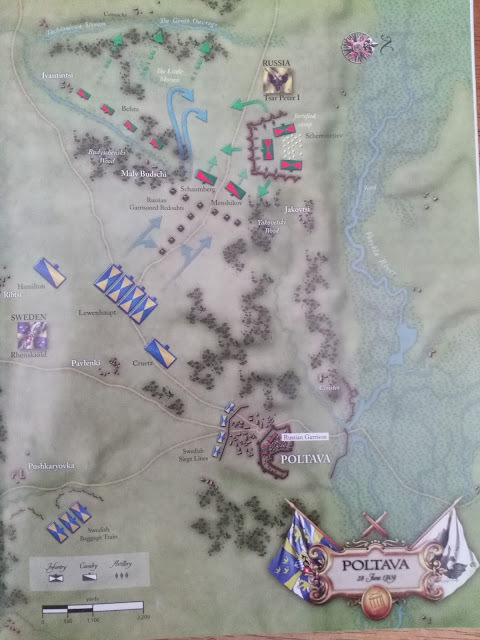 I believe that Poltava could very well have turned out differently had Charles not been wounded before the battle. Charles had the very bad luck not to have been killed by the bullet that shattered his foot. If he had been killed, his unbroken string of victories would be looked at differently, and Poltava would have been blamed on others. The Russian Army that you either command or fight with in Narva is nowhere near the Russian Army of Poltava. So the game shows the progress of the Russian military through the years of the Great Northern War. Tsar Peter I was very busy in his reign. He almost single handedly pulled Russia from the Middle Ages to the eighteenth century. he did this by literally pulling his nobles by their beards as they were kicking and screaming. The game comes with zone of control, facing, and command rules. Morale and disruption also play a big factor. These are pretty much what you would expect in a tactical wargame of the early eighteenth century. The player with the initiative uses an AM (Activation Marker) to activate units that have a LOC (Line of Command) to its command leader. This LOC has to be four hexes long, counting the units hex, but not the leaders one. The rest of the AMs are put into a container to be pulled randomly. 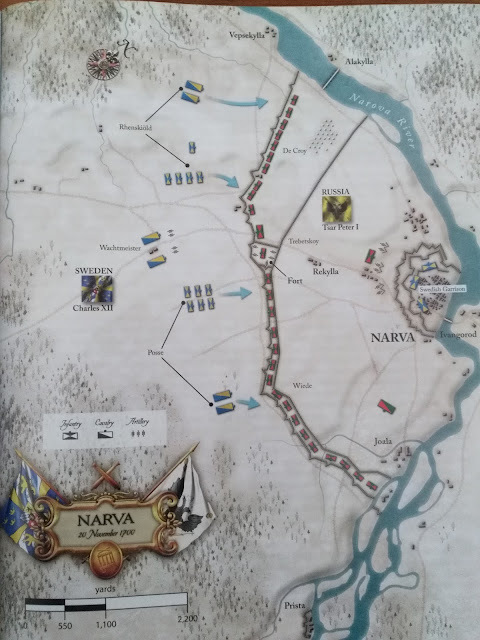 There is also a 'High Command' AM that is available to each side in the Battle of Narva scenario, but only on the Swedish side at Poltava. This will allow certain listed units to activate once more even though they may have done so with their normal activation marker. 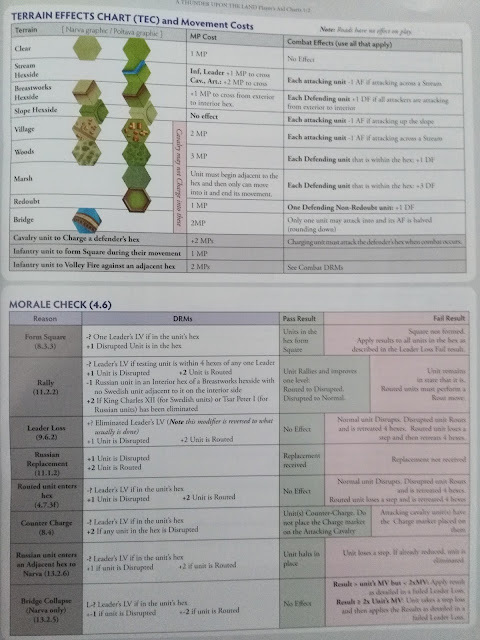 In the replacement phase, a unit that does not move or take any other action and is within command range of certain command units, allows the unit to be flipped back to its original strength. The recovery segment is where units that are disrupted or routed can attempt by die roll to rally. Victory is determined by capturing certain hexes, or by unit step loss or leader elimination. The game has rules for cavalry charges and counter charges. Infantry charges, a Swedish favorite, are also represented in the game. One rule that sticks out is that infantry can form square. From my reading, I believe that historians are still arguing about when the infantry square came into being, so I was a bit surprised about the rule. The game also comes with many optional rules. You can add volley fire to the mix and use it to increase your chances on combat results. There is also a 'Swedish Desperation' optional rule. 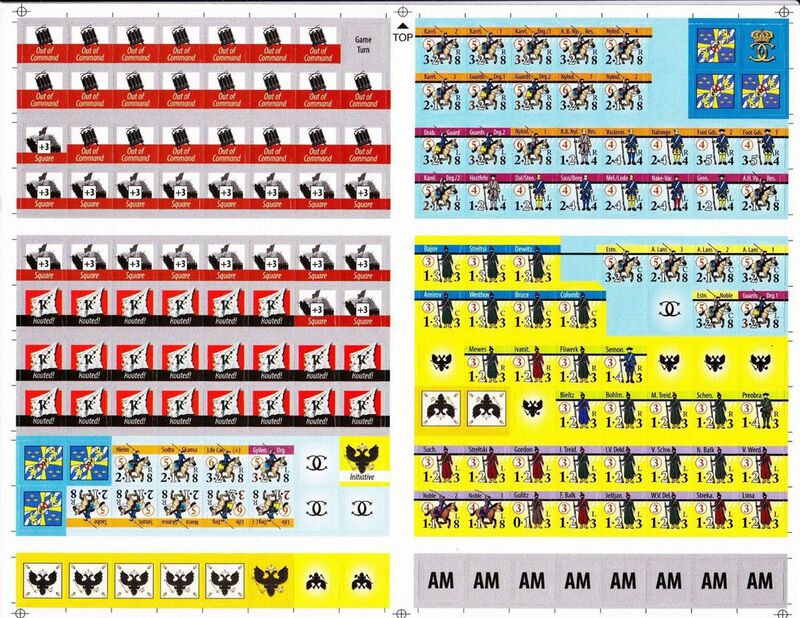 If the Swedish player has the initiative and is losing the game, he can make a die roll on the 'Desperation Attack Table'. This will show you how many desperate attacks the Swedes can make that turn. One unit in an attack has its attack factor doubled for the attack, but suffers disruption immediately after it. One optional rule that is not really represented is having Charles XII not wounded at the time of Poltava. There is an optional rule to have him appear in the Poltava battle but he does not turn up until turn four. Charles was actually dragged around the battle in a litter, but was not really able to influence the outcome at all. The Swedes saw him as a good luck charm. His military skill and Swedish morale could very well have turned the tide at Poltava. The rules for the most part are easy to read and understand. The designer Paul Rohrbaugh has been very helpful to people with rule questions on BGG. The games play out much like in history. At Narva the Swedes attacked in a snow storm, and they were not even supposed to be near the Russians. Charles broke most of the rules of warfare at the time, and in doing so won a spectacular victory. 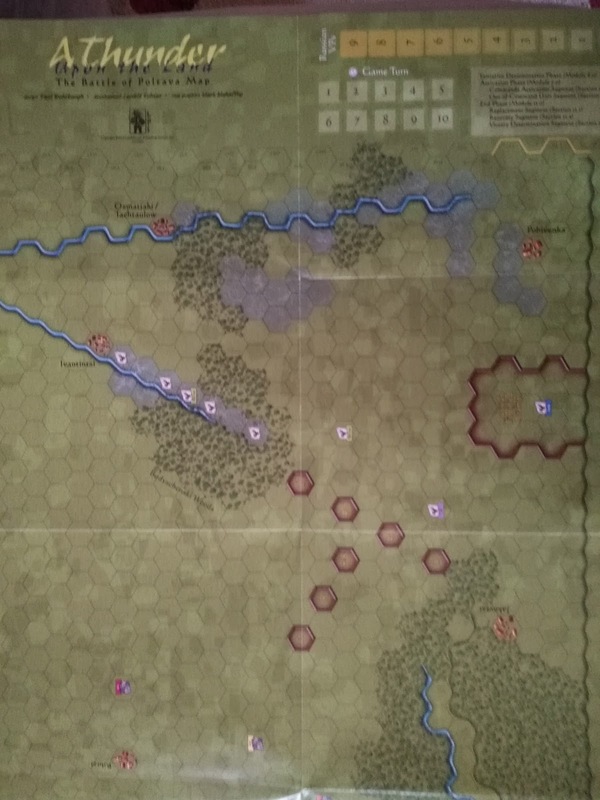 On the other hand, the Russian Army at Narva is brittle and the rules for that scenario help to make it a historical battle. Poltava is thought by some to be completely unwinnable by the Swedes according to most historians. As the Swedish commander, you have to fight through a line of redoubts and then actually attack a fortified Russian camp; and did I mention the Russians have plenty of artillery? Even with Charles able to conduct the battle, it is a very hard task. Under the historical conditions with both Swedish commanders hating each other it is almost impossible. I like these two games. One of the big reasons is that the designer did not fiddle with history to make it more 'gamey', and to give each side a level playing field. The optional rules, if you choose to use them, do add a little more historical flair to the games, but also make it a bit easier at times on both sides. Unfortunately, the battles of Charles XII and his generals have not really been made into too many games. The most produced game of this war is usually Poltava. I will admit that being of Swedish descent I have always had a love and hate relationship with the battle. For the longest time it was the only battle that you could game, but the situation is a desperate Swedish attack into Russian field works with really no other option. With the Battle of Narva, the Swedes can decide exactly where and when they will attack. The treatment of both battles in this game are first rate, and anyone who is interested in the time period should check them out.